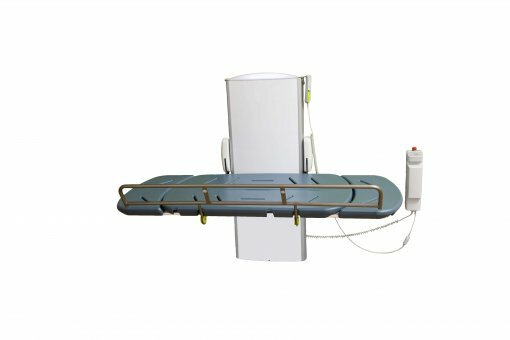 The CTX is the ultimate wall mounted changing table combining many practical and aesthetic features to provide a table that allows the complex needs of daily care giving to be conducted in a comfortable and relaxed manner. 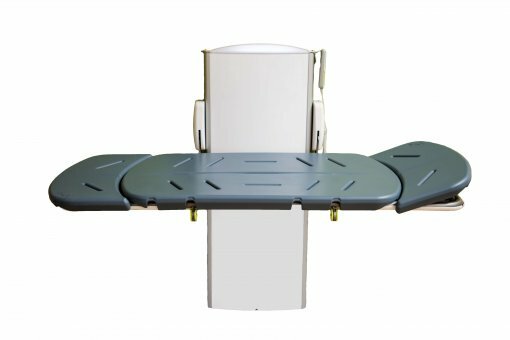 The CTX is the ultimate wall mounted changing table combining many practical and aesthetic features to provide a table that allows the complex needs of daily care giving to be conducted in a comfortable and relaxed manner for both the care giver and cared for. The height of the bed can be easily adjusted up or down via the handset, which also controls the integrated lighting. This combines to give a calm and relaxed environment for transferring and changing. Tilting head rests also offer enhanced comfort. The CTX changing tables are designed to withstand high usage in wet and humid environments with the inclusion of stainless steel parts, a durable and comfortable moulded polyurethane bed with drain holes and an integrated water collection tray. 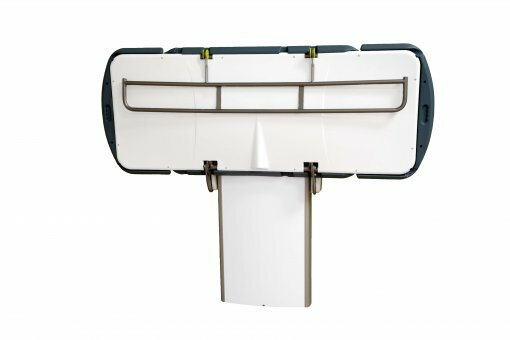 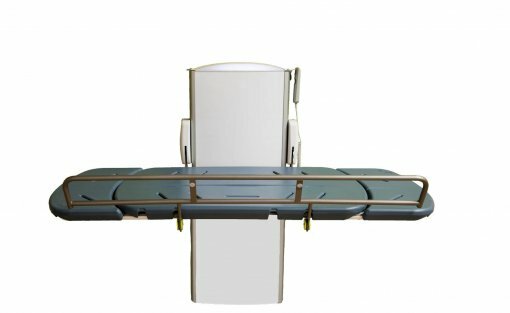 The innovative CTX can be floor or wall mounted and stows neatly when not in use to maximise room space, held in place with twin gas struts. 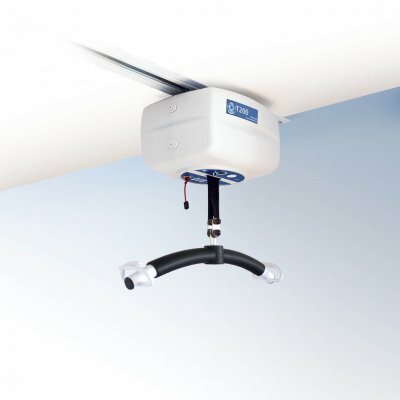 It features battery back-up for safe lowering in the event of a power failure. 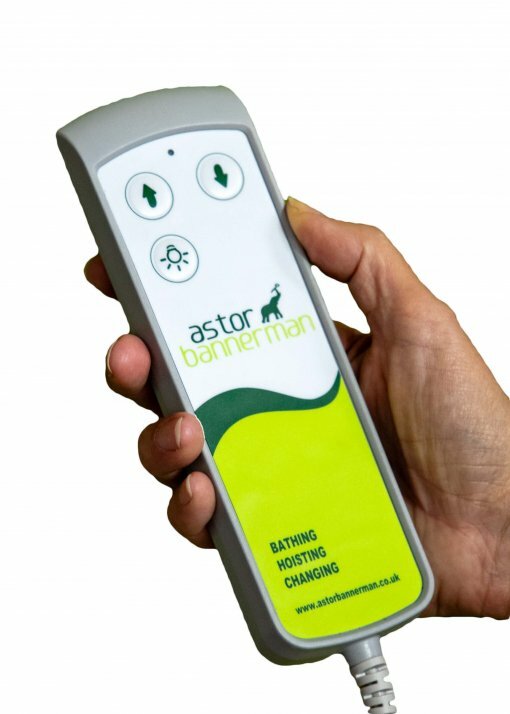 The CTX from Astor-Bannerman comes complete with a 3 year warranty* for complete peace of mind. 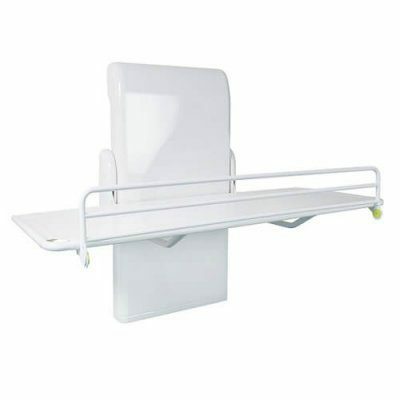 Additionally, the adult size (1800mm) is ideal for use in Changing Places facilities.